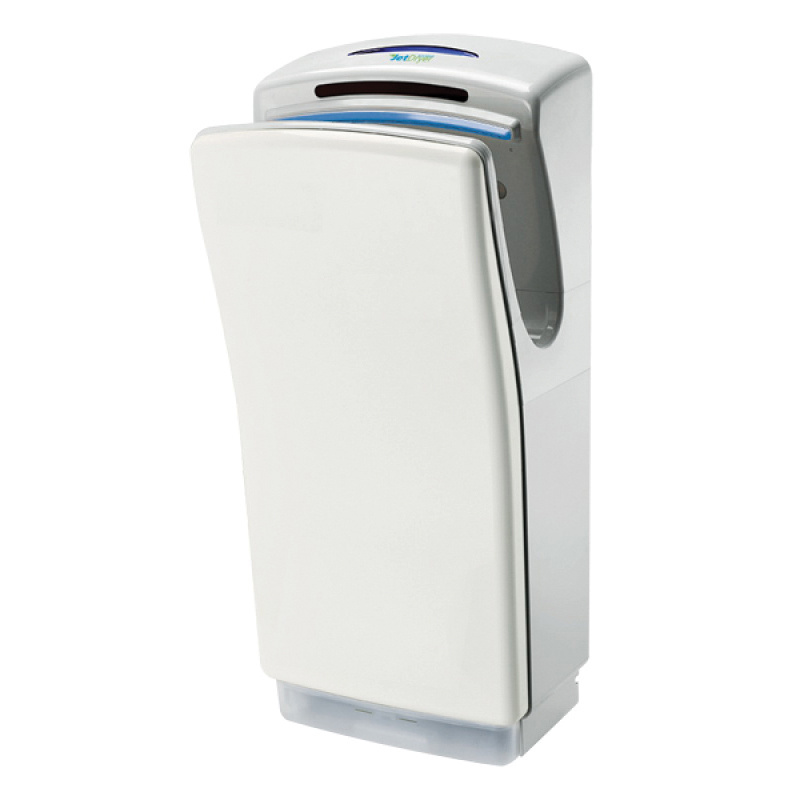 Jetdryer High-speed hand dryer in white color, features ABS construction. It offers dry time of 10 - 15 secs. Hand dryer has voltage rating of 110-Volt AC. Hand dryer measures 11-3/4-Inch x 26-3/4-Inch x 9-3/4-Inch. It has power saving advanced brushless motor.